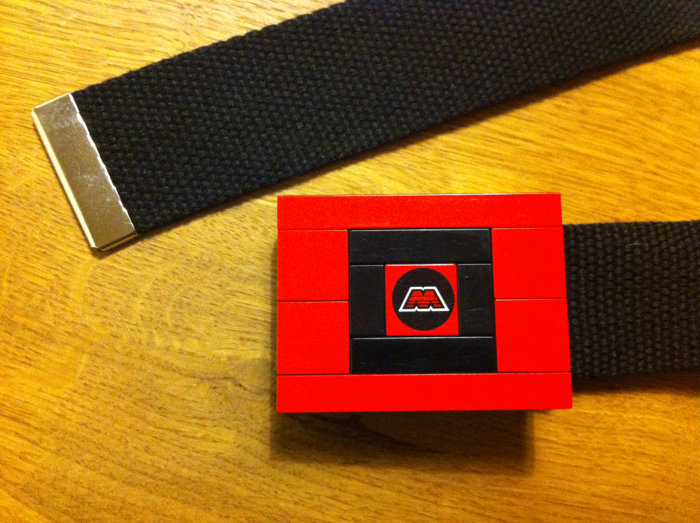 If I remember well, my LEGO belt was a present from Anya when she went to Berlin for the first time. 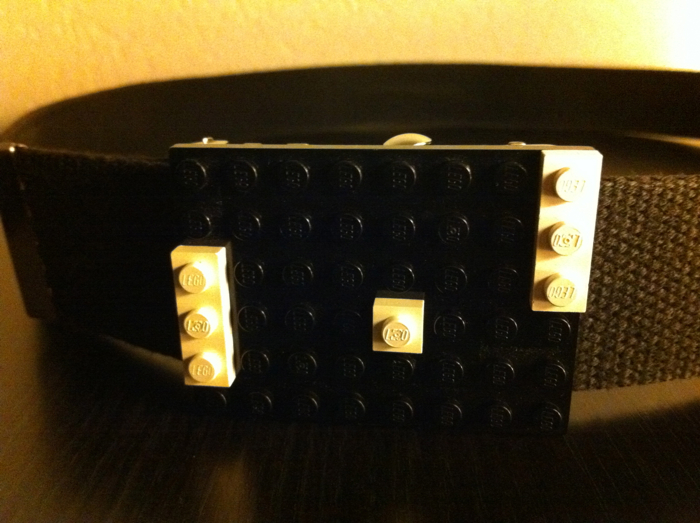 It basically is a common belt, with a 6x8 LEGO plate glued to the buckle. Which of course lets you be creative. The first “creation” was a bit lame: an ‘M’ for Manu. 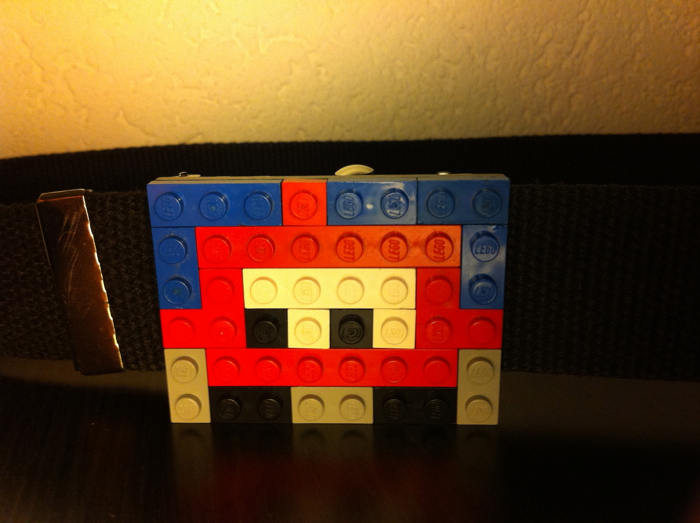 Because a 6x8 plate is pretty small, I thought that pixel art was the easiest thing to do. Where do you find pixel art? Yup, in video games. 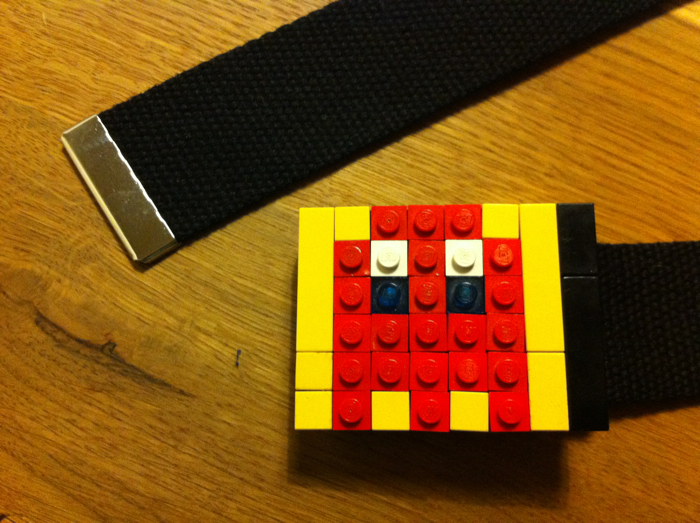 Here’s a Pac Man ghost made in 1x1 pieces representing the single pixels. 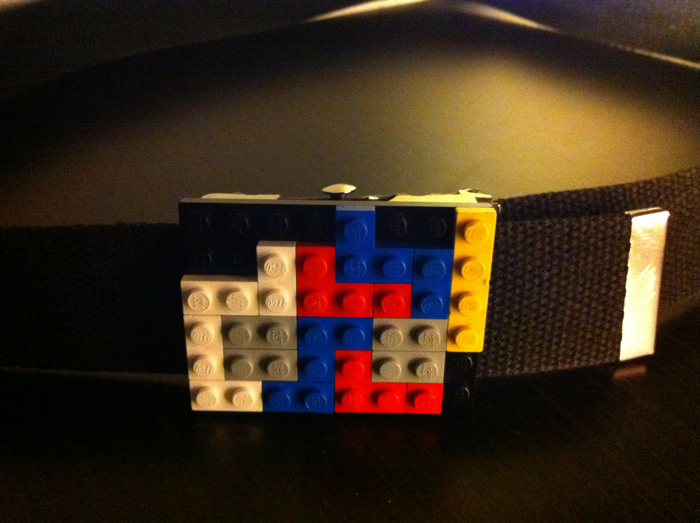 I had of course to do a Tetris themed buckle. It represents that great feeling when you finally can drop that straight tetromino to make a 4 liner. Then comes a lazy representation of Pong. Finally, here’s a creature of the Life of George.